Advanced Baseball Training and Performance Center: Providing players and coaches with the ultimate baseball learning experience. 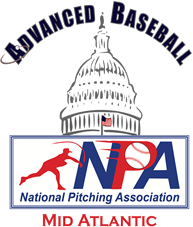 Advanced Baseball Training and Performance Center was created to provide both players and coaches with the ultimate baseball learning experience. We have combined the wisdom of leading experts from the coaching community, performance sciences (human movement), medical field, along with state-of-the-art technology to enhance your performance. We have developed programs that are specifically designed for hitters and pitchers using all of the information to help every player have a chance to reach their athletic potential. Our programs are not about promises... they are about giving serious, dedicated players an opportunity to get the best out of their abilities. No one can guarantee a scholarship to college, or tell you that you will be drafted, the best that anyone can do is to develop you to your highest genetic level possible and prepare you for a chance at the next level what ever that may be. Our mission statement is to provide you with today's best and most current performance training information available. We believe that baseball is the most over played and under trained of all sports. What we offer are programs for increasing human performance as it pertains to the game of baseball and we know that will translate to your success on the field. OnBase University is an educational organization dedicated to the study of how the human body functions in relation to baseball and softball. OnBase University's mission is to educate baseball and softball players and industry professionals on the Body-Baseball Connection™ or the Body-Softball Connection™ through its one of a kind 'OnBaseU Certified' educational program. This program was developed by OnBaseU's Advisory Board of industry leading experts. Our affiliation with OnBaseU have one of the most technologically advanced evaluation processes in existence focusing on swing and throwing efficiencies. The goal is to isolate the physical limitations, as well as the development of the corrective protocols for performance enhancement. We are currently working with Major League organizations, Cubs, Mariners, Dodgers, Red Sox, Angles, etc. and high-profile players J.D. Martinez, Mookie Betts, Mike Trout, Paul Goldschmidt, and many others. Featured Article: "Your Daily Supplements"
Feb 15-16 . the Phillies workshop at their Spring training facility in Clearwater Fla.
Advanced Baseball is proud to announce our latest group of athletes who have committed to play at the next level. All of these athletes are extremely hard working and their dedication and passion for baseball combined with the countless hours spent at Advanced Baseball has allowed them to continue their playing career after high school. As the competition for scholarships or spots on elite travel teams has increased significantly in the last few years, so to has the amount of misinformation on what is good, better or best for pitchers and hitters progress. The biggest example of this is in strength training and conditioning. Everyone is searching for methods and ways to increase a pitchers strength, velocity, and endurance. The problem is very few know how to actually achieve this in the safest and most correct method. Olympic style lifts, Kettle bells and even long distance running is not the answer and can impede performance and health in many negative ways. Functional or useable strength should be the goal for all pitchers, not understanding this seems to be a wide spread problem with in baseball.